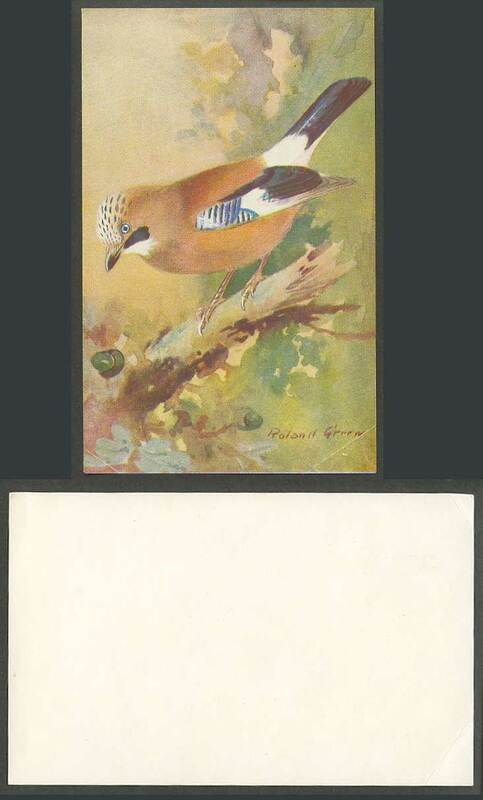 Vintage Roland Green Artist Signed Art Drawn Colour Old Card. Birds. Bird. Jay. The Jay is a Woodland Bird of lively habits, very wary, it usually flies off on approach - sometimes with a harsh screech. The Jay is given to egg-stealing in the spring, but it feeds largely on nuts acorns, etc.